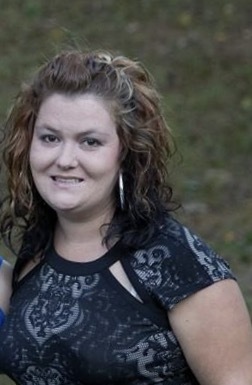 Stephanie Jan Moore, age 36, of Gainesville, GA passed away Wednesday, November 14, 2018. She was a lifelong resident of Hall County, a member of Poplar Springs Baptist Church, and a loving daughter, sister, and friend to all. She liked to read and was very outgoing, and will be missed by all who knew her. Stephanie was preceded in death by her grandparents, Charles & Addie Moore; and Grady & Thelma McCarty. She is survived by her parents, Rick and Joan Moore, Gainesville GA; sister, Keri Lamb, Gainesville GA; brother In-law, Phillip Lamb, Gainesville, GA, and extended family. Funeral Services are scheduled for 2:00 PM Monday, November 19, 2018 at Hillside Chapel Funeral Home in Gainesville, GA.
Pastor Matthew Vandegriff will officiate. Interment will follow in Poplar Springs Baptist Church Cemetery in Hall County. The family will receive friends at Hillside Chapel Funeral Home on Monday from 11:00 AM until service time. Psalm 34:17-18: 17 The righteous cry out, and the Lord hears them; he delivers them from all their troubles. 18 The Lord is close to the brokenhearted and saves those who are crushed in spirit.